The title is credited to one of my sons. 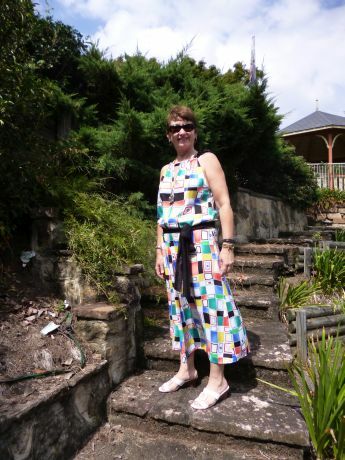 When I first wore this make he said” Wow mum shades of Mondrian”. 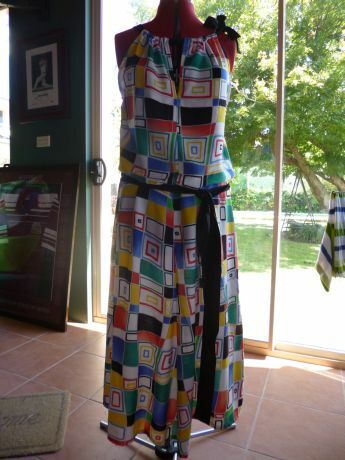 The fabric is very much colour and geometry. It is New Look 6119. 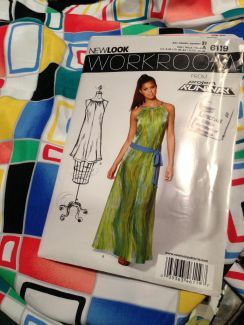 This time I thought I would make it as per the pattern but in the maxi style. The fabric is from my stash and is another that I have had for many years, just waiting for inspiration. The drape and feel of this fabric is wonderful and I used some black fabric as the accent. I also edited the pattern and added a bow to the shoulder for a little interest. I didn’t to step by step as I had made it before but I am very happy with the result. 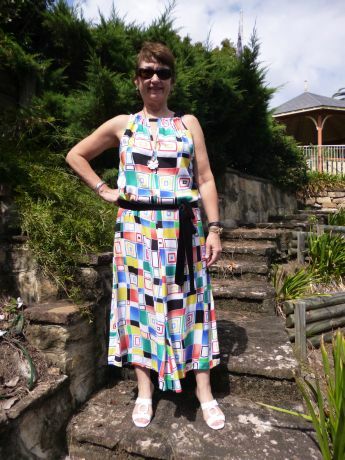 This is a great dress terrific for warm days. Very easy and really comfortable perfect for Summer. Even though we are now into Autumn I did get a few wears out of this dress before the weather started to turn cooler. 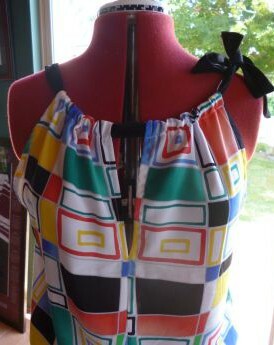 Very Mondrian! It looks nice and cool and floaty.